The physical education department at Kenilworth Junior High School in Petaluma, California is serious about helping kids to not only get fit, but also to have fun and find activities they enjoy so they will continue to be active into their adult lives. In 1992, the Kenilworth physical education department was recognized by the California Association of Physical Education, Recreation, and Dance (CAHPERD) as an outstanding program in the state. Kenilworth became a model demonstration school and spent four years working with other physical education programs in the state on curriculum and instruction. Kenilworth P.E. teachers are also active grant writers, earning over $36,000 in grants since 2008, and implementing programs such as rock climbing, disc golf, archery, spin bikes and a 21-station fit lab to their students. While weight lifting was once considered detrimental to children and young teenagers, new research suggests that when young students learn to safely and effectively lift weights in a supervised setting, they not only build strength, but also reduce the risks of injury when playing sports. This wide variety of activities and equipment make the Kenilworth P.E. department a place that develops not only kids’ fitness, but also their social and collaboration skills, and points them in the direction of life-long active living. So what does a top-performing P.E. department do when the district goes high-tech and provides an iPad for every student? Not only did Kenilworth P.E. teachers embrace new technology in powerful ways, but they were far out in front by the time the rest of the district got on board. As a Google district, all Kenilworth students have their own Google accounts. The P.E. teachers use Google Classroom to disseminate information to students, such as unit notes and home activity logs. Students access a Google calendar link on the P.E. website in order to sign up for make-up P.E. 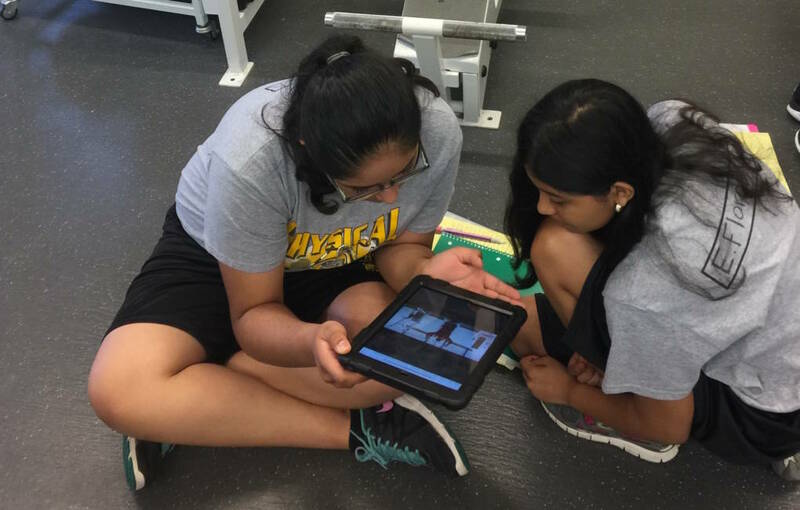 times, and they use apps like Quizlet to take their P.E. tests. Students also use their iPads to take pictures and videos of themselves as they demonstrate new skills they have learned. They create Google Slides presentations, add written explanations of what they are doing and how each artifact demonstrates correct form and then submit this evidence of their P.E. skills’ development via Google Classroom. One of the more unexpected places where iPads are used is in the fit lab, where two teachers have up to 70 students running the paces, from spin bike sessions to weight training circuits. No matter how much the teachers might pre-teach safe and effective use of the equipment, chances are that students will be distracted by their peers and will forget the different directions for each machine. To ensure students work safely and get the most out of the fit lab, Kenilworth teachers film their own tutorial videos to demonstrate how to use each machine. After filming with their iPads, they edit in iMovie, add voice-over narration, and upload the videos to their class website. 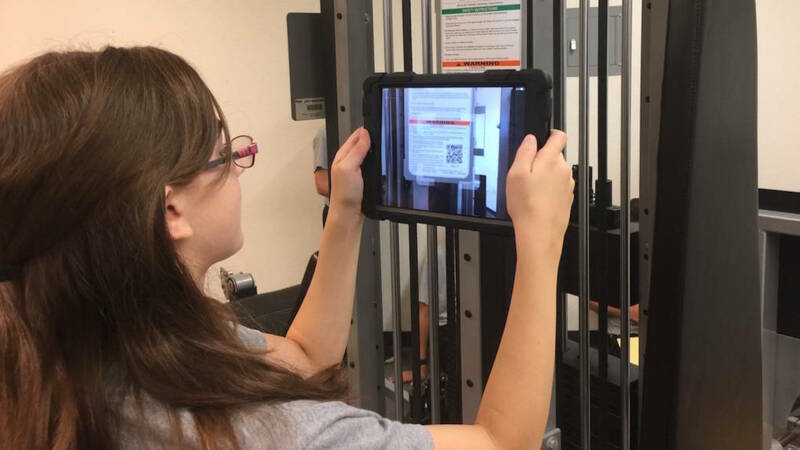 They use Google’s URL shortener to create QR codes for each video, which students scan with their iPads so they can refresh their fit lab knowledge before climbing aboard a machine. Teachers send students back to the tutorial videos when they notice unsafe or ineffective use of the machines. 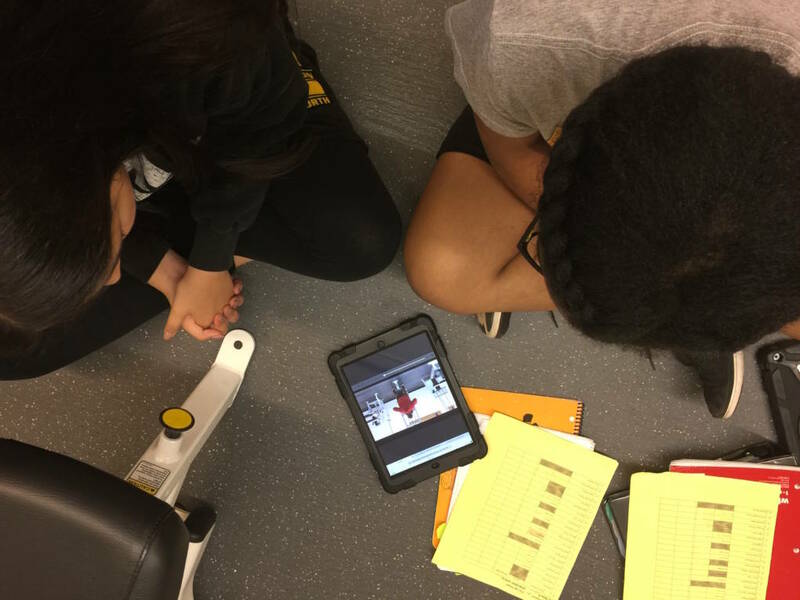 With so many students in the lab at once, the videos allow teachers to keep an eye on all the activity, retrain when necessary and flip the curriculum so that students are able to work and learn on their own while developing safe fit lab habits. 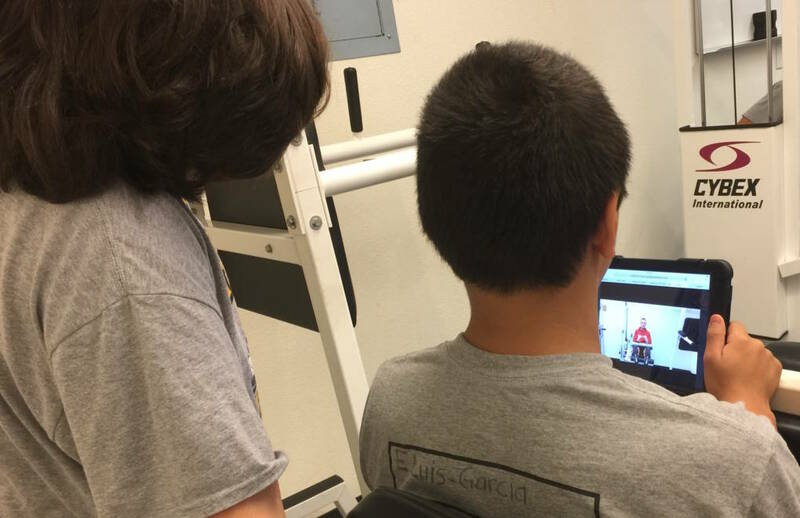 While critics of technology in schools voice concern that students are spending too much time seated in front of a screen, innovative teachers know that technology can improve their students’ learning in a wide variety of ways, including keeping them safe and active in P.E class.